Libya’s transition is often portrayed as one of the more promising outcomes of the Arab Spring. While moving in the right direction, it is still reeling from 40 years of Qaddafi’s divide-and-rule regime, which set the country’s myriad communities against one another. Although ousting Qaddafi momentarily brought most Libyans together in common cause, today’s political landscape is as fractured as ever and populated by heavily armed groups. 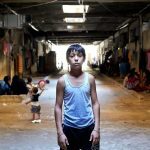 What’s more, despite the end of the 2011 war, the safety of the civilian population remains precarious, and caught in the crosshairs of new communal conflicts. 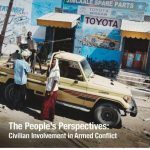 The Center for American Progress (CAP) partnered with Center for Civilians in Conflict to publish a brief overview on the ongoing need to acknowledge and assist civilians harmed during the conflict in Libya in 2011.